Assess it. Make sure it really is just a rub or graze and that it’s not hiding a more serious wound, like a puncture wound. Make sure you check your horse all over to make sure that the rub hasn’t been a result of something else. Clean. Cleaning wounds is an essential part of any treatment and provides the first real chance to see what’s going on. You can use warm water with salt or special wound cleaning products or you can opt for something like Tea Tree Mist that can be sprayed on and used to clean the wound. Treat. 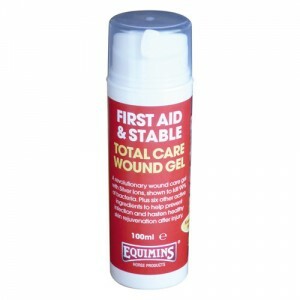 Depending on the type of wound and the time of year, you may opt for a gel (like Wound Gel), a powder (like Wound Powder), a balm (like Equi-Balm) or a spray (like Purple Spray). For skin that requires soothing, Aloe Vera Gel is ideal. Monitor. 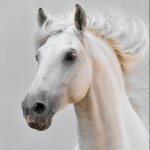 If the flies are around or your horse gets turned out in a muddy paddock, you’ll need to keep a really careful eye on the rub, to ensure it stays clean and has the best conditions for a full recovery. This may mean that fly repellent products are used as well and cleaning and applying fresh cream/gel regularly. If the wound isn’t healing how you expect, deteriorates or you’re concerned about it at any time, it’s always worth calling your vet. To find out more about our First Aid range, see the website.